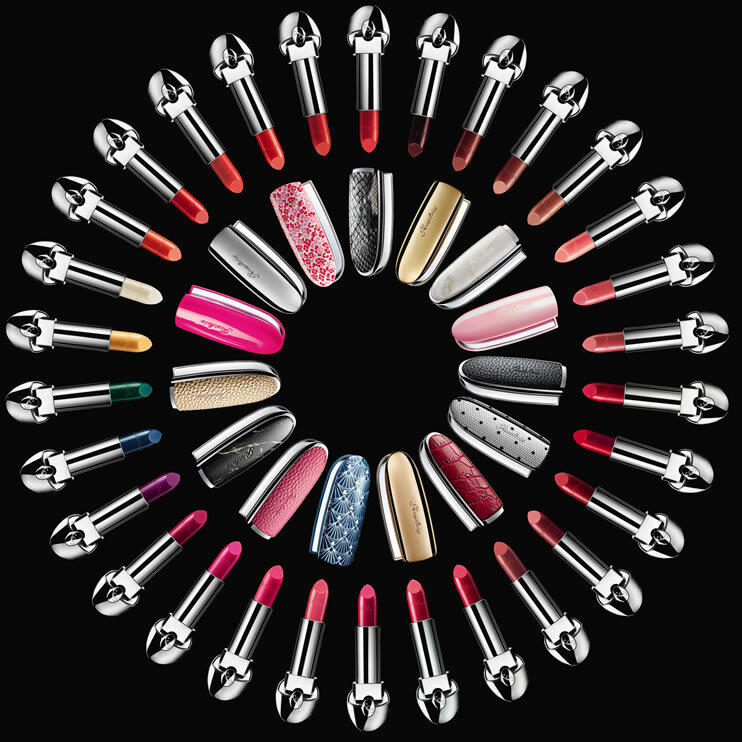 30 new Rouge G Shades from Guerlain, with 15 new customise-able Rouge G cases. Make your make up your Shade, your Case, your Style. 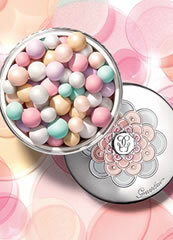 Guerlain have just created the next must-have makeup item, or is it a handbag accessory, we are not quite sure? 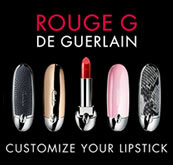 The Guerlain Rouge G Relaunch Collection has 30 Rouge G lipstick shades and over 15 different cases to enclose them in. Guerlain Rouge G Lipstick's have always been the secret weapons of lipsticks, beautiful creamy on the lips, long-lasting and easy to apply with their famous flip top mirror cases. Now they are even more desirable, with a greater range of colours and cases that accessorise your accessories! Guerlain's alchemists have sealed intense colour and luscious lip care into a jewel formula, for beautiful lips every-time it is used. Enriched with plant-based polymers and silver micro-crystals with a reflective power, this exceptional formula beautifully enhances lips, cloaking them in intense and luminous long-lasting colour. Jojoba and mango butter help to nourish lips, offering them instant and lasting comfort. 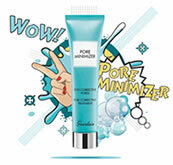 Hyaluronic acid and gugul resin help to smooth and plump up lips. The sweet, enveloping scent of a vanilla “floriental” leaves its incomparable mark on Rouge G de Guerlain. Top notes sparkle with a lemon, orange and bergamot accord. The rose and iris heart exudes sweetness. The vanilla and tonka bean dry-down gives Rouge G all of its intensity. Our favourite shades are the true coral shade of Rouge G No 41 Bright Coral and Rouge G No 42 Flaming Orange, the bursting purple berry shade of Rouge G No 74 and the beautiful brown shade of Rouge G 03 Lipstick Refill. 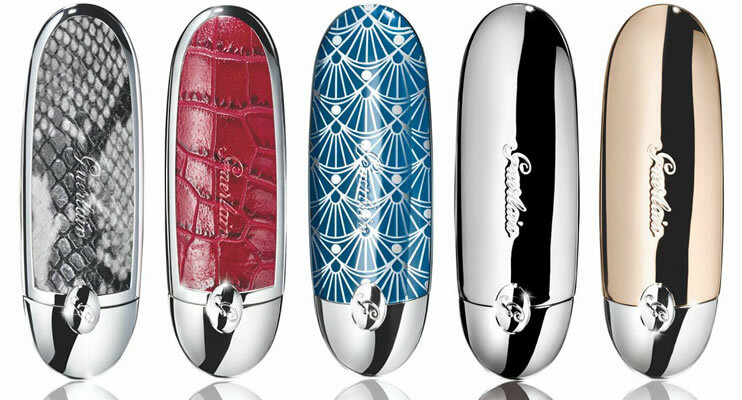 Guerlain Rouge G Relaunch Collection offers 15 customise-able lipstick cases. See the images and descriptions of these fantastic new cases from Guerlain below. The new mirror cases are lighter and more environmentally friendly (as they do not have a magnet) and instantly donate a fashionable twist to your iconic Rouge G Lipstick. Neon-ista - only for people who like pink! French Mademoiselle - beautiful veil effect that was first seen in the Madame collection 2013.